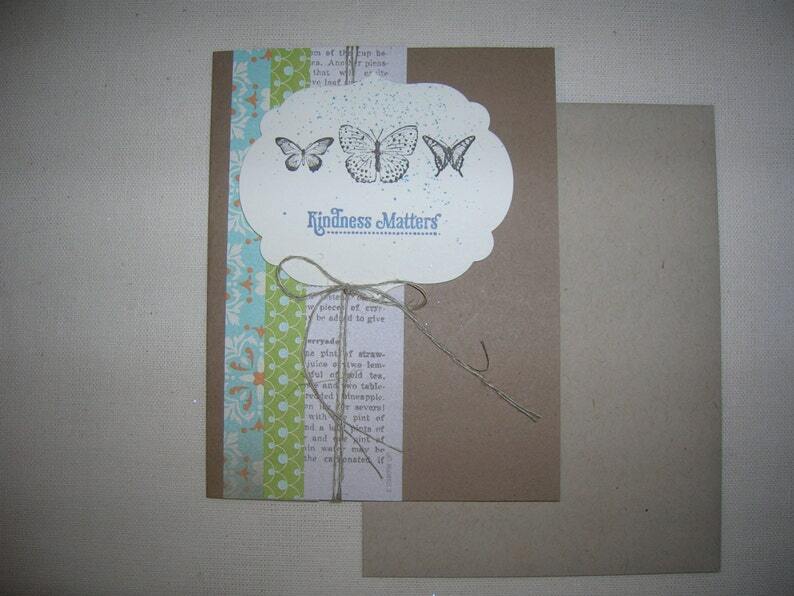 One hand stamped Kindness Matters card featuring, designer papers, custom ink splattered label with butterflies and Kindness Matters words. I used a thin piece of linen thread to wrap the card as a pretty embellishment. Size 4 14" x 5 1/2"